To examine the effect of fasting on c-myc protooncogene expression, the level of c-myc mRNA was determined at 6 circadian stages (4 hr intervals for 24 hr) in the livers of Peromyscus leucopus mice. After 3 days of fasting a reduced level of c-myc expression was observed compared with ad libitum fed controls (24-hr mean relative expression values = 0.73 and 1.16, respectively, p<.001). Core body temperature, which was continuously monitored using a thermister/transmitter system, showed a significantly lower mean value in the fasted animals (33.1°C vs 36.4°C after 3 days, p<.001). In addition, for both ad libitum fed and fasted mice, expression of c-myc and temperature showed significantly different values at various circadian stages indicating that both parameters exhibited biological rhythms. 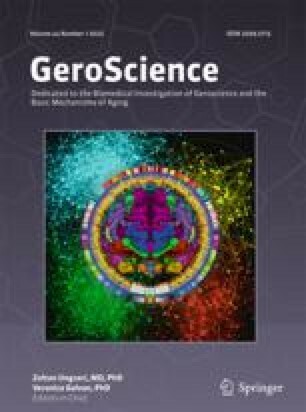 These findings are qualitatively similar to our previous results with long-term dietary restricted animals (60% of ad libitum for over 100 weeks), indicating that manipulation of the dietary regimen can affect the level of protooncogene expression. Furthermore, the results showed a high degree of correlation between c-myc expression and core body temperature in fasted animals in a manner which suggests that alterations in body temperature precede and may signal subsequent changes in c-myc expression.